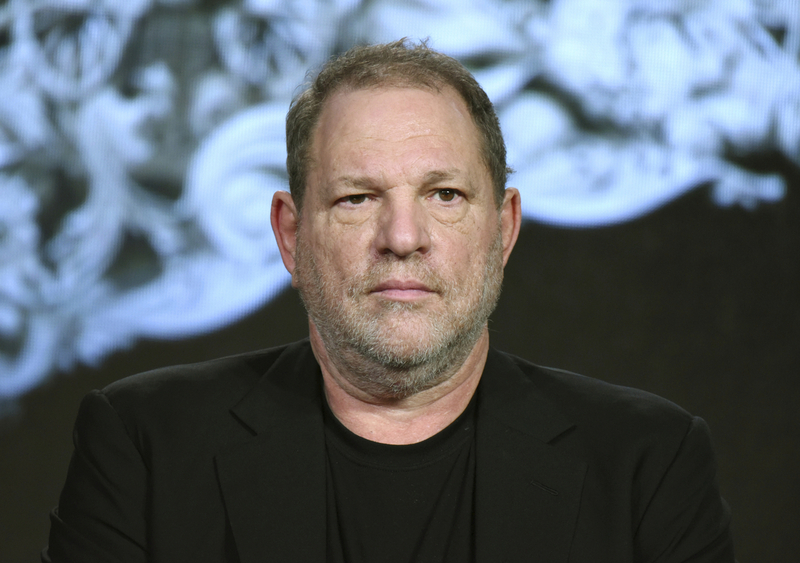 Harvey Weinstein Out At The Weinstein Company : The Two-Way The Hollywood mogul has been fired by the board of the film studio he co-founded, following recent reports of allegations that he sexual harassed females for decades. Producer Harvey Weinstein has been fired from The Weinstein Company in the wake of new reports documenting decades of his alleged sexual harassment of former female employees and associates, the company's board of directors announced Sunday. Harvey Weinstein has been fired from the Weinstein Company, according to the company's board. The TWC co-founder is being forced out just three days after The New York Times published the bombshell report, detailing decades of sexual harassment accusations against Weinstein levied by former employees and the legal settlements that followed. As the Two-Way noted at the time, Harvey Weinstein's alleged predatory behavior toward women has been talked about within his companies for years. In response to the Times story, Weinstein apologized in a statement for some of his behavior, saying that the workplace culture was different when he entered the movie industry in the '60s and '70s. Lawyer Lisa Bloom, known for representing women who have accused powerful men of sexual harassment, resigned as adviser to Weinstein on Saturday. That's in addition to three of the nine, all-male members of the TWC board who have stepped down, according to The Hollywood Reporter, since The Times report: Dirk Ziff, Tim Sarnoff and Milwaukee Bucks co-owner Marc Lasry.